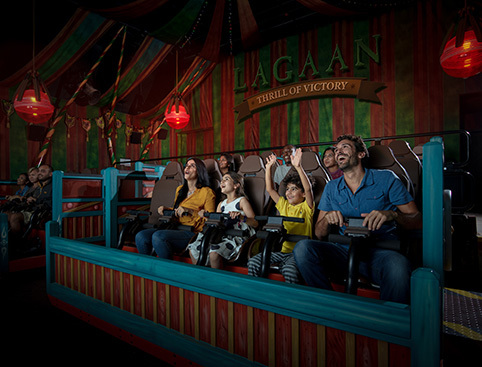 The Jaan-E-Jigar show is NOT included in BOLLYWOOD PARKS™ Dubai tickets. You will be emailed a gate-ready Dubai Parks And Resorts e-ticket that must be printed on receipt. Upon arrival, simply scan the barcode at the gate for admission to the parks. Children aged 0-2 years old may enter the parks free of charge and do not require a ticket. Dubai Parks And Resorts reserves the right to vary the opening and closing dates and times of the attractions and to close, remove or cancel all or any part of the rides, events or facilities within the attractions for any reason including technical, health and safety and/or operational reasons or due to special events or private functions. This ticket does not include parking fees, and parking is subject to availability. Both parks must be visited on the same day. 2 Day Entry to ALL 4 parks: LEGOLAND® Dubai, LEGOLAND® Water Park, Motiongate™ Dubai and Bollywood Parks™ Dubai. Ticket is valid for 2 days entry over a 7 consecutive day period. Validity: Tickets are valid for redemption for 6 months from the puchased date. Dubai Parks and Resorts is the region's largest integrated theme park resort compromising three seperate theme parks and one water park. Dubai Parks and Resorts is where the best of the east meets the best of the west to create a world of fun and an adventure unlike any other. LEGOLAND® Dubai and LEGOLAND® Water Park are the ultimate destinations in the Middle East for families with children from 2-12. LEGOLAND® Dubai and LEGOLAND® Water Park are hands-on experiences allowing families to take part in LEGO® themed adventures through interactive rides, water slides, models and building experiences. Please Note: LEGOLAND® Water Park entry is not included in LEGOLAND® Dubai tickets and must be purchased separately. LEGOLAND® Water Park will be the only UAE water park designed specifically for kids aged 2-12 and their families. 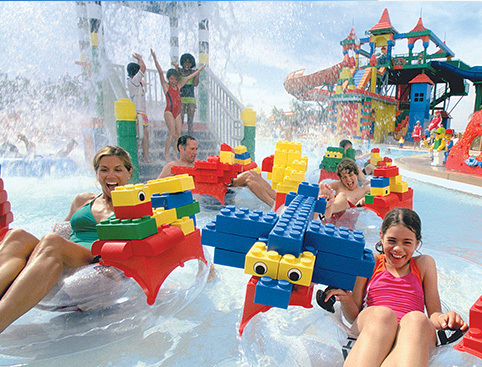 At this unique water park, take on the Joker Soaker, build your very own LEGO® raft, go on a splash safari or slip and slide your way down one of our many attractions! Over 20 water slides and attractions designed specifically for kids aged 2-12 and their families to enjoy together. Please Note: LEGOLAND® Dubai entry is not included in LEGOLAND® Water Park tickets and must be purchased separately. Movie lovers all over the globe, Motiongate™ Dubai welcomes you to a cinematic journey into the fantasy world of films. Dive into an alternative universe of captivating stories and adventures with your favourite animated characters from Hollywood. 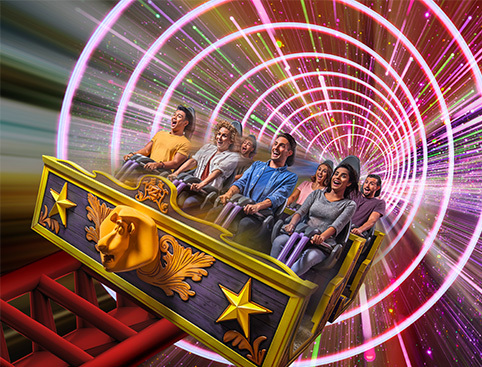 Enjoy unique, high-value entertainment with the latest-in-technology attractions and new-generation rides that recreate the thrill only motion pictures can deliver. The first theme park in the world dedicated to all things Bollywood! Action, adventure, romance, comedy, music, dance, flavour and emotion, Bollywood style. Come October 2016, Bollywood Parks™ Dubai, a part of the 25 million square feet Dubai Parks and Resorts Destination, will open its gates to every eager fan around the world. The Resort is also home to Riverland™ Dubai, which is the gateway to Dubai Parks and Resorts. Journey through time and experience the street ambiance, theatres and cuisines from four distinct eras which have shaped today’s landscape: The French Village from the 1600’s, Europe of the early 19th century, the British Raj of the 1930's and the Americas of the 1950's. If you are staying at a qualifying Hotel, then Dubai Parks and Resorts also offer a free shuttle service to the parks. Please see links below! To view the Dubai Parks and Resorts bus schedule, please click here. IMPORTANT: Bookings are non refundable or amendable once booked. Open-Dated Tickets-When you’ve Booked: You’ll receive an initial confirmation from us immediately. This is NOT your entry ticket. If the arrival date is inside of 6 months, within 48 hours we will email your official Dubai Parks & Resorts ticket confirmation which will include the booking details and any further information. 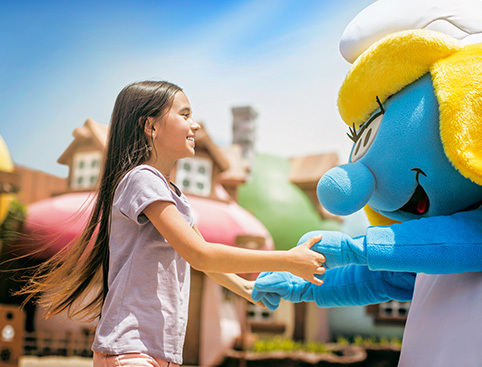 If the arrival date is outside of 6 months, we will email your official Dubai Parks & Resorts ticket confirmation within 6 months of arrival which will include the booking details and any further information.